By Janice Dooner Lynch, Esq. On February 11, 2011, the Fordham Urban Law Journal presented a continuing legal education conference at the Fordham University School of Law entitled, “Taking New York: The Opportunities, Challenges, and Dangers posed by the Use of Eminent Domain in New York.” Many attorneys and non-attorneys from the eminent domain field spoke about various aspects of the challenges which have arisen in this area of the law in recent years. One of the key issues discussed during the conference was the differing definitions of “blight” in each state, which is a major factor in determining whether a government may appropriate property by way of its eminent domain powers. Professor Lynn Blais of the University of Texas School of Law pointed out that while most states have enacted legislation limiting the use of eminent domain to take property for economic development or to be transferred to a private entity, such legislation has, at the same time, provided for an exception to this limitation in the case of “blight.” In other words, an eminent domain taking of property for non-public purposes can take place if a showing can be made that such a taking is necessary for the eradication of “blight” on the property. The following questions then arise: how is the concept of “blight” to be defined by the state legislature or constitution, and how is much judicial review of that definition can be exercised by the courts? The varying approaches to this issue by different states can be seen in the New York State Court of Appeals in Kaur v. New York State Urban Dev. Corp., 933 N.E.2d 721, 892 N.Y.S.2d 8 (2010), and the New Jersey Supreme Court in Gallenthin v. Paulsboro, 191 N.J. 344, 924 A.2d 447 (2007). Fox Five News, Good Day New York segment, Eminent Domain Battle with Rosanna Scotto (May 21, 2010). "In recent years there has been an increase in legal challenges to the law when 'blight' is used as the primary reason by the state for a takeover...'The eminent domain process is subject to abuse. Where the controversy comes in is in redevelopment projects under the Local Redevelopment Housing Law (in NJ) that says certain areas of a city are blighted,' Ward told co-host Rosanna Scotto." Some say timing is everything. Would it have made a difference if Judge James M. Catterson published the opinion in Matter of Kaur v. New York State Urban Dev. Corp. prior to oral arguments before the Court of Appeals in the Atlantic Yards case, Goldstein v. New York State Urban Development Corporation, d/b/a Empire State Development Corporation? While many think Catterson’s strongly worded opinion could have persuaded the Court of Appeals on the blight issue, in reading the majority opinion in the Atlantic Yards case, it is unlikely that Kaur would have changed the outcome. Today the Supreme Court of the United States and the New Jersey Supreme Court heard oral arguments on similar issues in two different cases: Who has title to riparian land created by natural accretion of sand or a public works project to replenish beachfront property? In Stop the Beach Nourishment v. Florida, the issue is whether the legislation coupled with the Florida Supreme Court decision constitutes a judicial taking of private property without compensation; In City of Long Branch. v. Liu, property has already been taken, but the trial court ruled that Liu could not be compensated for the land created by beach replenishment. Beaches in many states are the recipients of oceanfront accretion as a result of beach replenishment projects. Most states, including Florida and New Jersey, set the property boundary at the mean high water line: The state owns the area between the mean high water line and the low water line. Up to this point, any natural or man-made accretion that changes the mean high water line belonged to the riparian owner. The state of Florida wants to make this additional land public land. The Florida Supreme Court, in a 5-2 decision, agreed. See SCOTUS Wiki for all the documents in this case and our prior blog post, "SCOTUS grants cert in beachfront renourishment case." In order to rule in favor of the Florida property owners, at least 5 of the 8 justices hearing the case need to agree with the position of the property owners who are contesting the Forida legislation and the Florida Supreme Court decision. This would require an in depth review of Florida law in order to overrule the Florida Supreme Court -- a big step, considering the deference usually accorded state courts in interpreting state law. But the Florida property owners argue that the court below misinterpreted long standing Florida law with respect to the ownership of beachfront property. The New York State Court Appeals heard oral arguments today in Goldstein v. New York State Urban Development Corporation, the eminent domain controversy in which a handful of property owners have tenaciously battled New Jersey Nets owner Bruce Ratner’s attempt to acquire their property to develop the Atlantic Yards. A centerpiece of the petitioners' argument was an attempt to convince the court that the term public use, as used in the New York State Constitution, should be limited to its original intent. This would necessitate overturning a long line of case law which has significantly broadened the concept of public use. The justices, questioning petitioners' lawyer Matthew Brinkerhoff, appeared to reject this argument; it is unlikely they will narrow the definition of public use in the opinion that results from this case. There was a strong argument put forth by the respondents' attorney Phillip Karmel that the action in the state court presently before the court of appeals was not filed within the 30 day limitation contained in the statute, New York State’s Eminent Domain Procedure Law (EDPL). The petitioners rely on a six-month grace period to support their application that the action was timely filed. The petitioners initially pursued their remedies in the Federal Courts without success. They subsequently filed an action in the state court relying on the six month grace period to meet the procedural requirements of the statute. Respondents argue that this does not comport with the procedure set forth in the EDPL. The danger in this procedural argument is that, if the respondents position is adopted by the court, the case could be dismissed without addressing the underlying merits or substantive issues. We have seen appellate courts avoid controversial decisions by utilizing procedural devices to bypass the real issues at the heart of the case. Goldstein v. New York State Urban Development Corporation will be argued tomorrow, October 14, 2009, at 2:00 p.m. in Albany, New York. 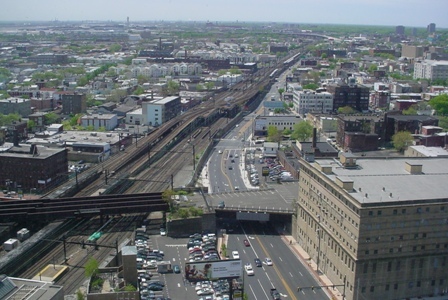 This controverisal eminent domain case challenges the Atlantic Yards project in Brooklyn. The New York State Court of Appeals will webcast the arguments live. Daniel Goldstein is the lead plaintiff as well as the catalyst and co-founder of Develop Don’t Destroy Brooklyn, the group that has been fighting developer Bruce Ratner’s efforts to condemn their neighborhood for an arena (the proposed home for the New Jersey Nets), 16 towers with 5000 residential units, and retail and office uses. On Tuesday, attorneys for the majority of property owners in the Marine Terrace, Ocean Terrace, Seaview Avenue (MTOTSA) neighborhood in Long Branch signed a final consent order of settlement in their long-standing eminent domain case. As the attorney for homeowner Louis Anzalone, I was one of them. Peter Wegener represented the other homeowners, and Scott Bullock and the Institute for Justice joined the case on appeal. Together we formed a united front on behalf of the property owners. Still, it was the participation of New Jersey’s Public Advocate Ronald Chen that made the difference, not only in this case but in all the important cases that are redefining the way we view eminent domain in New Jersey. In the Long Branch matter, the mediation process went on for months after an August 2008 Appellate Court decision, which reversed in part and remanded the case to the same trial court that ruled against the property owners in June 2006. Monmouth County Assignment Judge Lawrence Lawson wisely placed the mediation process in the hands of Superior Court Judge Thomas W. Cavanagh, Jr., who brought negotiations to fruition. On Tuesday evening, the Long Branch City Council voted 4-1 on the resolution to accept the consent order and the terms of settlement. So the litigation is over. "The Little Guy Wins' is a feature news segment by reporter Mary Murphy, who covered the Long Branch eminent domain story on WPIX Channel 11 last night. The video clip features Louis Anzalone, 92, who never gave up the fight to keep his home, even after his wife Lillian and other senior neighbors including Al Viviano, Mary LaConte, Anna DeFaria, and Carmen Vendetti passed away before their litigation ended. They were, to paraphrase Franklin Delano Roosevelt, a generation that had a rendevous with destiny. They fought for freedom, but they never imagined that they would fight to keep their homes. Through years of litigation, Anzalone, a World War II Navy veteran, epitomized the spirit of that greatest generation, living the words of Winston Churchill: "Never, never, never, never give up." Below is the Asbury Park Press video of the court hearing on September 15, featuring the signing of the 12-page settlement agreement in City of Long Branch v. Anzalone. Later that evening, the Long Branch City Council voted 4-1 to adopt a resolution on the settlement agreement. Listen to last Thursday's Brian Lehrer Show at WNYC-FM, featuring a segment about halted development and eminent domain in Asbury Park with Paul McEvily, associate executive director of Interfaith Neighbors, and William J. Ward, eminent domain attorney and blog author. On June 15, 2009, the United States Supreme Court granted certiorari in the case of Stop the Beach Renourishment, Inc. v. Florida Department of Environmental Protection, Docket No. 08-1151. This is the Court’s first sojourn into the takings issue since June 2005, when the court issued three opinions in the Kelo, Lingle and San Remo Hotel cases. See post in the ABA Journal online, "Surprise! Supreme Court grants cert in beach taking case," and related links. The case has interesting implications in many states, and specifically New Jersey, where the Army Corps of Engineers, operating through local municipalities, is seeking to accomplish beach replenishment along the entire length of Long Beach Island. See our January 29 post, "Eminent domain in Harvey Cedars." Iron Mountain Information Management, Inc. v. City of Newark et al (A6561-06). Commercial tenants are not entitled to notice provisions of the Local Redevelopment Housing Law according to a recent decision of the New Jersey Appellate Division. In a unanimous decision approved for publication, the court affirmed Summary Judgment granted by the trial court to the City of Newark. The tenant, Iron Mountain Document Systems, Inc., has a long-term lease of a 350,000 square foot building, located at the corner of McCarter Highway and Edison Place. In addition to its lease, Iron Mountain negotiated an option to purchase and maintains a right of first refusal with the landlord. Plaintiff, the sole tenant in the building, has occupied the property since August 28, 1996, when it entered into a long-term lease with the owner, the Berkowitz Company, to rent the property until August 31, 2014, with the option to extend the term of the lease for two successive five year periods. Matter of Do Not Destroy Brooklyn v. Urban Dev. Corp. (2009 NY Slip Op 01395). On February 26, the New York Appellate Division, First Part, upheld a lower court ruling by Justice Joan Madden dismissing a lawsuit filed by a group of plaintiffs opposing the Atlantic Yards project. The project would be the largest redevelopment project ever undertaken in New York City. It would include a new 18,000 seat arena for the New Jersey Nets basketball team owned by developer Bruce Ratner. The arena is window dressing for a massive real estate development of 16 towers and 6000 residential units on a 22 acre site located at Flatbush and Atlantic Avenues in downtown Brooklyn. Although the developer won this legal round, Ratner was negotiating with the MTA about cutting costs as recently as January. 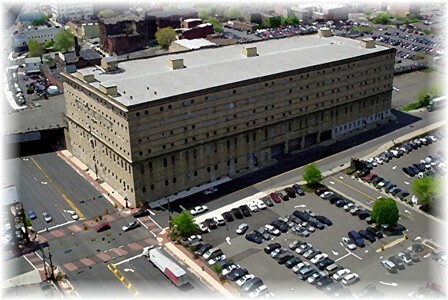 And, of course, financing for a project of this size in the current economic climate remains as questionable now as it was in September when Goldman Sachs refused to comment in the Newark Star-Ledger on the financing of the $950 million arena. We agree with appellants that, in light of the principles laid down in Gallenthin, the City did not find actual blight under any subsection of N.J.S.A. 40A:12A-5, that the record lacked substantial evidence that could have supported the New Jersey Constitution's standard for finding blight, and that the absence of substantial evidence of blight compels reversal. Although the Appellate Division left the door open for the city to supplement the record to prove blight, this will be highly problematic, and it is doubtful they will be able to produce a qualified planning expert who will reach that conclusion. An additional problem for Long Branch will be the recent decision of Judge Lawson in the prerogative writ suit, Park Steel v. Borough of Neptune City, in which he relied substantially on the Gallenthin v. Borough of Paulsboro, 191 N.J. 344 (2007) case and the ERETC v. City of Perth Amboy, 381 N.J. Super. 268 (App. Div. 2005) case. In the Park Steel case, which was decided on May 7 and released July 7, 2008, Judge Lawson found that Neptune did not meet the test to provide substantial credible evidence of blight. Download the Appellate opinion in City of Long Branch v Anzalone. The opponents and proponents of the massive Atlantic Yards project in Brooklyn assembled on Thursday, May 3, 2007, before New York State Supreme Court Justice Joan A. Madden. Lawyers for both sides argued before a packed court room for more than 3 hours. Norman Oder's comprehensive blog post covering the oral arguments can be found at the Atlantic Yards Report: ESDC grilled over blight, "civic project" in EIS lawsuit hearing, but judge's latitute may be limited. The definition of blight was among the interesting issues argued. Another argument focused on whether the proposed arena can be considered a "civic project" under New York state law. As to the latter issue, we are of the opinion that the proposed new arena for the NETS is window dressing for a massive real estate project backed by developer Bruce Ratner of Forest City Ratner (FCR). A telling point made by attorney Jeffrey Baker, representing Develop Don't Destroy Brooklyn and 25 neighborhood and civic groups, is that the alleged blight was determined after developer Ratner decided what the footprint for the project should be. In other words, Ratner went shopping for other people's property and the Empire State Development Corp. (ESDC) obliged him: they did the blight study after the project was announced.The predetermination of the project footprint by FCR prevented the ESCD from considering alternative locations, such as Coney Island, for the new arena. Ratner's predetermination of the site and his desire to tie it to a mixed-use development was the theme for this opera, and ESDC and the MTA provided the full orchestration. Why couldn't this project be limited to the rail yards? Is it necessary to acquire and build on all the surrounding properties to achieve the "civic purpose" to bring professional sports to Brooklyn? We've seen the answer over and over in redevelopment projects in New Jersey: "There's gold in them there redevelopments." This project has more to do with real estate development than with the arena. Arena projects, per se, are losers (see the Field of Schemes site.) They do not generate enough dollars to justify the cost of the land and construction. The sales pitch is always more jobs and business coming to the area. The jobs issue is minimal at best: 300-400, mostly part-time and low-paying jobs. On the whole, sports subsidies do not benefit the community. Research shows that stadium and other sports subsidies benefit team owners, like Bruce Ratner, and professional athletes. As for the the blight determination, Baker asserted, “There is no mention that the purpose of this project was to avoid and eliminate blight.” Oder reports that the blight determination was included in ESDC’s scoping document of September 2005. Baker put new posters on the easels, pointing to the apparent contradictions in the state’s blight study, which counted multiple indicia of blight, including unsanitary/unsafe conditions, vacancy status, empty lots, and the failure to use 60% or more of the allowable development potential. A summary of the issues in the DDDB v. ESDC case can be found on the Develop Don't Destroy Brooklyn site. If the suit succeeds, the ESDC will be forced to revise its Environmental Impact Statement (EIS), delaying the project. Justice Madden is expected to issue her ruling in four to six weeks. "Our goal is really quite simple: to keep the power flowing to all Americans with sufficient reliability. And so, each draft Corridor was designed to include both areas where significant congestion problems or constraints exist and areas where there is a substantial amount of existing underutilized capacity as well as the potential for development of renewable energy generation – a so-called “source-and-sink” approach. In other words, these Corridors are meant to facilitate the process of connecting places that need relief with places that have the potential to supply more power. And this work cannot happen soon enough." -- Remarks as Prepared for Energy Secretary Samuel Bodman, First Annual Grid Week Conference, Washington, D.C. Within a National Corridor, transmission proposals could potentially be reviewed by the Federal Energy Regulatory Commission (FERC), which would have siting authority supplementing existing state authority. This would mean if an applicant does not receive approval from a State to site a proposed new transmission project within a National Corridor, the FERC may consider whether to issue a permit and to authorize construction. In the event of a FERC siting proceeding, the FERC must conduct a review under the National Environmental Policy Act, which would include analysis of alternative routes for that project, including route realignments necessary to avoid adverse effects on the environment, landowners, and local communities.A federal permit could empower a permit holder to exercise the right of eminent domain to acquire necessary property rights to build a transmission project. That authority could only be exercised if the developer could not acquire the property by negotiation, and even then, the authority would not apply to property owned by the United States or a State, such as national or state parks. The DOE issued a draft proposal which designated the 21 counties that comprise New Jersey as part of the plan. In addition, the Mid-Atlantic National Corridor, pictured above, consists of Delaware, the District of Columbia, some parts of Ohio, West Virginia, Virginia, Maryland, Pennsylvania, and New York. 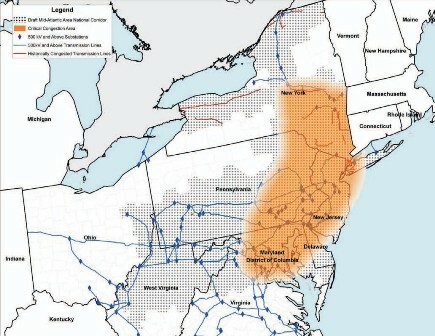 A public hearing to discuss the Mid-Atlantic Corridor is scheduled for May 23, 2007, in New York City. DOE Announces Additional Public Comment Meetings for Draft National Corridor Designations WASHINGTON, DC – The U.S. Department of Energy (DOE) today announced that it will hold four additional public meetings for the two draft National Interest Electric Transmission Corridors (National Corridors) during the 60-day public comment period, which will close on July 6, 2007. The four additional meetings will be held in June in: Phoenix, Arizona; Las Vegas, Nevada; Pittsburgh, Pennsylvania; and Rochester, New York. Dates and locations will be published in the Federal Register in the coming days. DOE previously announced it would host three public meetings at the following locations: Arlington, Virginia on May 15, 2007; San Diego, California on May 17, 2007; and New York, New York on May 23, 2007. To stay informed and comment on the plans, go the link at the National Interest Electric Transmission Corridors and Congestion Study. It's not too late to join William J. Ward, author of the New Jersey Eminent Domain Law Blog and moderater of the Lorman Education seminar, Eminent Domain in New Jersey, next Tuesday, April 17, 2007, at the Hyatt Regency in New Brunswick. Eminent domain decisions are occurring weekly at the trial and appellate court levels. These recent case law and legislative developments, environmental, valuation, planning and relocation assistance issues are the subjects that will be discussed by the speakers. The full-day program will conclude with a panel discussion, The Ethics of Redevelopment and Pay-to-Play with Senator Ellen Karcher, Paula Franzese, chair of the New Jersey State Ethics Commission, Paul P. Josephson of Hill Wallack, and William J. Ward, managing partner of Carlin & Ward. Other speakers include Deputy Attorney General Maureen Hinchliffe Bonney, attorneys Edward McKirdy and John Buonocore of McKirdy & Riskin; Timothy P. Duggan of Stark & Stark; Anne L.H. Studholme of Hill Wallack; James M. Turteltaub and Arthur G. Warden III of Carlin & Ward; appraiser William H. Steinhart, vice-president of Appraisal Consultants Corp.; Robert Cunningham of the New Jersey Department of Transportation; and Peter G. Steck, planner. The seminar provides continuing education credit for attorneys (NY and PA) , appraisers, and planners. Download a copy of the brochure with the agenda and biographies of the panelists. Advance registration is preferred. There are a limited number of media passes available to publications that cover eminent domain news. Please contact Susan L. Ward at 973-377-3350. Eminent Domain in New Jersey will be presented by Lorman Education Services on April 17, 2007, at the Hyatt Regency New Brunswick. The seminar, moderated by William J. Ward, Esq., is designed for attorneys, real estate professionals, project managers, planners, developers, appraisers, and land specialists. Critical issues on the agenda include case law developments, legislative reform, planning, environmental and valuation issues, relocation assistance, and the ethics of redevelopment and pay-to-play. The faculty includes: Senator Ronald Rice, Senator Ellen Karcher, Paula A. Franzese, Maureen Hinchliffe Bonney, Robert Cunningham, John H. Buonocore, Edward D. McKirdy, Timothy Duggan, Christopher Gibson, Paul P. Josephson, Anne L.H. Studholme, Peter G. Steck, William H. Steinhart, James M. Turteltaub, and Arthur G. Warden, III. Read the faculty bios. Continue reading for continuing education credits and seminar benefits. To obtain the brochure click here. Property owners fighting Forest City Ratner’s massive Atlantic Yards project achieved a small but significant victory when N.Y. Supreme Court Justice Ira Harkavy ruled that Forest City Ratner had illegally acquired the tenant’s interest in a 1-acre property owned by Henry Weinstein. The judge terminated FCR’s lease on the two properties, a six-story office building, and adjacent parking lot along Pacific Street. Control reverts to the owner, the judge ruled. NY Times, "Atlantic Yards Loses Lease to Part of Site" (March 8, 2007). The leases in question here clearly and unambiguously required tenants to “first” obtain the written consent of the landlords before any assignment of the leases. Notwithstanding that provision, the tenants chose to execute the assignments to AY Carlton, even though they had not received the written consent of the landlords. Indeed, the tenants chose to execute the assignments less than two weeks after sending their letter requests, before they received any response form the landlords, without trying to contact the landlords. The tenants’ assignment was clearly not permitted by the leases. This decision creates a hole in the 22-acre donut which Forest City has represented it controls. The tenant, Mr. Boymelgreen, and his lawyer vowed to appeal. Assuming the court decision stands, Mr. Weinstein’s opposition to the project and the proposed taking will move forward with a clear delineation that he is the owner and the party in interest that Forest City and the Empire State Development Corporation must deal with. See the opinion in 752 Pacific LLC, et ano v. Pacific Carleton Development Corporations, et ano. Eminent Domain: Can small town America survive? Can small town America survive? What is responsible development? William J. Ward, author of the New Jersey Eminent Domain Law Blog, will be a guest speaker following the movie screening of Two Square Miles at 2 p.m. on Sunday, October 22, 2006, at the Baronet Theatre in Asbury Park. The questions that exist about the future of Hudson are similar to the concerns of citizens in towns and cities across America. How is the global economy affecting our communities? Can a traditional small town main street with mom and pop stores still be viable with the 21st Century competition of big-box stores and consolidation? Can goals of environmental conservation and economic development co-exist? How can citizens and activists concerned about the direction of their communities be involved in the democratic process, and can idealistic goals drive real political change? And, in the wake of divisive political campaigns, can new and productive political alliances that serve the common good be forged? Barbara Ettinger, the director of the film, along with Councilman Jim Keady of Asbury Park, Barbara and Patricia Lesinski of Citizens for Wesley Lake, and Jamie Nieradka of Ocean Grove will be joining the discussion about eminent domain, housing density, preservation, environmental issues, and the need for responsible development. The event is free and open to the public at the Baronet Theatre, 205 4th Avenue, Asbury Park, New Jersey. (732-807-3317) Download the flyer "Movie Screening & Community Discussion for Responsible Development in Our Shore Communities." In a scathing opinion, New York State Supreme Court Judge Carol Edmead ruled in favor of property owners and other community organizations and forced attorney David Paget to disqualify himself for representing the Empire State Development Corporation (ESDC). The ESDC is the agency in charge of overseeing developer Bruce Ratner's massive project for Prospect Heights, Brooklyn, located at Flatbush and Atlantic Avenues. Paget had previously represented Forest City Ratner (FCR) privately on the same project and then became ESDC's lawyer. The judge called this "a severe crippling appearance of impropriety" and scoffed at the agency lawyer's arguments that the relationship was "collaborative." The agency plans to appeal the decision. Jeffrey Finkle, President and CEO of the International Economic Development Council, was quoted in the New York Times this week characterizing the political defense of eminent domain as the "third rail right now...You step on it, you die." Developers can't imagine a world without eminent domain. Use of eminent domain for private development is almost always controversial where blight is involved. Develop Don't Destroy Brooklyn (DDDB) and fifteen property owners and community groups fired the first legal salvo at Forest City Ratner's plan to build a new city within the city at Flatbush and Atlantic in Brooklyn, N.Y. The litigation filed last week focused on Ratner's efforts to begin demolition on six buildings he has acquired and allowed to deteriorate. Of course, his demolition is characterized as benefiting the public health, safety and welfare. But are the buildings an imminent threat? Norman Oder's post at TimesRatnerReport yesterday quotes Jay Butler, the professional engineer brought on board by the litigating community groups to review the buildings. Although Butler wasn't allowed inside, he stated: "I cannot conclude that the buildings pose an imminent threat to public safety. Any defects....appear to be consistent with conditions found at countless other buildings in New York City." The more serious issue in the lawsuit points to an insider deal with blatant conflicts among attorney David Paget who has represented FCR (the developer) and also represents Empire State Development Corporation (ESDC), the lead environmental agency for the SEQRA review of project with respect to Ratner's efforts to demolish the six buildings in the project area. A tree grows in Brooklyn; it is nourished by the hope that infuses a strong grass roots movement. Develop Don't Destroy Booklyn is a group of concerned citizens that cuts across all demographic groups --people of all races and income levels have come together to stand up to the power of Forest City Ratner, the State of New York, and the City of New York, who are pushing for a new city rising out of the Atlantic Yards and surrounding a stadium for the Nets basketball team. Develop Don't Destroy Brooklyn advocates greater transparency, government accountability and community involvement to the development of the Atlantic Yards area in Brooklyn. They challenge Bruce Ratner's proposed use of eminent domain to build the Nets Arena and 17 highrise development plan for the area. The proponents of this project have largely ignored the neighborhood -the people, the buildings, and the small businesses. They do so at their peril. The strength of the grass roots movement is its organization and commitment to the cause - preserving their homes, neighborhoods, and their property. They will fight eminent domain in the press, in the courts and in the voting booths. And the politicians who push these projects will be defeated. At an event on October 5, 2005 at the BRIC Studio in Brooklyn, "A Celebration, Inspiration, and How to Stop Eminent Domain in Its Tracks," sponsored by Congressman Major Owens, Senator Velmanette Montgomery, and New York City Councilwoman Letitia James, the celebration included a toast to the recent success of Bloomfield, New Jersey litigants who are also fighting a Forest City project. The organizers showed a poignant file about eminent domain, George McCullough's "All for the Taking," followed by a panel discussion. The film documents the plight of several low income families in Philadelphia, Pennsylvania slated to be acquired for a large urban renewal project.